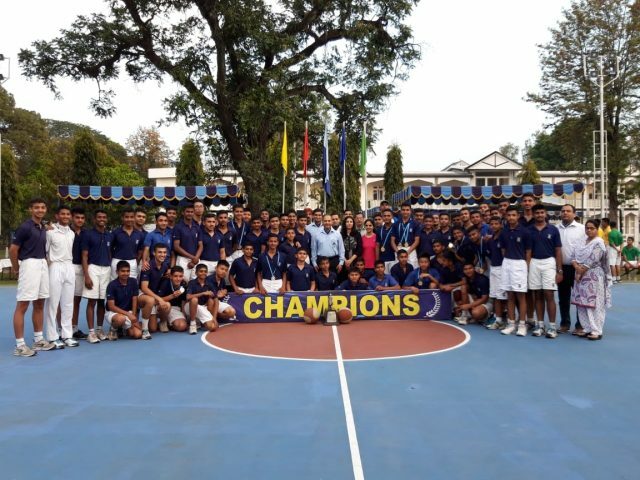 Dehradun, 14 Apr: The nearly week long RIMC Inter Section Basketball Competition concluded late in the evening on 13 April. Matches were organised under the flood lights on the new state of the art Basketball courts. 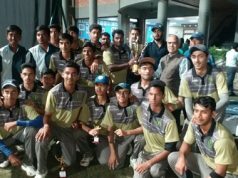 The Four Sections of RIMC fielded four teams each for Juniors, Middles, Seniors and Open categories and matches were played on league basis. Chandragupta Section bagged the first position in juniors’ category, while the first position in the middles and seniors categories was claimed by Shivaji and Pratap Sections, respectively. The first position in the open category was also captured by Pratap Section. The Overall Trophy of the tournament was bagged by Shivaji Section for having scored the highest points by winning the maximum number of matches. 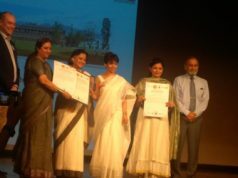 Pratap and Ranjit Sections were second and third, respectively. Cadet Sarthak Patil was adjudged the Best Player in the juniors’ category. He was also declared the highest scorer. In the middles category, Cadet Aditya Raj was adjudged the Best Player and the Highest Scorer. Cadet Andy Khobung and Cadet Bharat were declared The Best Player and the Highest Scorer, respectively, in seniors’ category. In the open category, Cadets Veeresh and Anantjeet Mishra shared the title of the Highest Scorer. Col Vivek Sharma, Commandant, RIMC, presented the awards and trophies to the deserving boys. He lauded the boys for exhibiting exceptional grit and determination during the tournament and exhorted them to always look for excellence in whichever activity they pursued. The Officer in Charge of the tournament was Shishupal Singh.